These sightings are unconfirmed and have not been reviewed by the committee. Note: In Utah this species is found mainly in Washington County. The only other counties with sightings for this species are Garfield and San Juan Co. (like this one). But these sighting are very rare. Note: This is the first documentation of nesting for this species in this part of Utah. 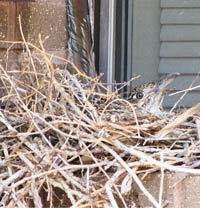 Most sightings and reports of nesting are from Washington County and surrounding area. Note: This is only the second summer sighting of this species before September in Utah. The first was 9 years earlier in Salt Lake Co and is documented in record O-2018-02 below. Note: There are few sight records for this species in the Intermountain West during the summer months. This is the first summer sighting before September in Utah. Note: This warbler is found mainly in the eastern United States and in Utah the rare sightings have been mostly in northern Utah. . Note: Other sightings of Phainopepla in the state have been in the three southern-most counties plus Iron and Grand Counties. Note: First record for Grand County or any of the adjacent counties in southeastern Utah. Note: "I believe my discovery and photo-documentation of this Mandarin family might be the first graphic evidence of Mandarins breeding in the wild in the Salt Lake valley." Note: From 10 to 20 yellow-breasted swallows (ranging from pale to "lemon yellow" breasts), shaped like Northern Rough-winged Swallows. 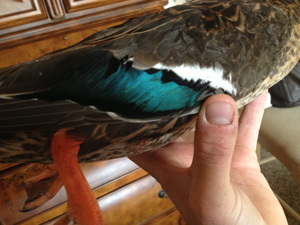 Note: Mexican Duck is currently considered a subspecies of Mallard . It, or even a hybrid, is rarely seen in Utah. Note: On the Antelope Island checklist the Black-thraated Gray Warbler is listed as having been seen only once. 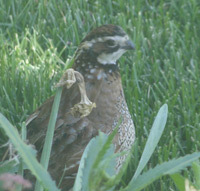 Note: Because the introduced Northern Bobwhite population in Utah has not been able to survive the hard winters of Utah, it is not deemed to be an established species for the state and is not included on the state checklist of wild birds. Note: This species is found mainly in the very northern part of Utah. This is the first documented sighting for Salt Lake County. Note: This is a hybrid between a rare Red-breasted Sapsucker and the fairly common Red-naped Sapsucker. Note: Because Black Swifts nest behind waterfalls and are extremely hard to find and identify, any sighting from a new location is very significant. Note: Far north of its usual southern Utah range. Note: A sighting of a Caprimulgus speices -- either a Mexican or an Eastern Whip-poor-will. Note: A very early out-of-season sighting of a Western Tanager. Note: This represents only the second known report of this subspecies group for Utah. Note: The Records Committee has concluded that the Black Swan is not a naturally-occurring species in Utah. Note: This is the first documentation for this species in Morgan County. O-2011-02 17 May 2011 - Huntington City, Emery Co., by Andy, Sharon & Matthew Pollaehne [The photo has been lost]. Note: This is the first record for Emery County. Note: The is a subspecies of the Herring Gull that is a regular visitor to Alaska, but is most likely very rare in Utah. Note: This may be the first record of successful breeding by this species in the SE part of Utah. This is an extralimital breeding record for the species in its inland range. Breeding records for this species are typically much further south or west. Note: Summer Tanagers are seen in southern Utah on a fairly regular basis, but are very rare in the northern part of the state. Note: This sighting is out-of-season for this species, which is a common summer bird. Note: This species may be expanding its range eastward. (It's normal range is along the Pacific coast of North America). Note: This sighting is far north of its normal range . 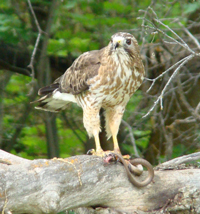 Note: Although not on the review species list, this record for a Red-shouldered Hawk underwent a first round review (5 acc, 2 not), but was not sent to a second round, but listed here as a special sighting . Note: The time of year is unusual for this species in Utah. (The record was for a Western Flycatcher which has been split into Cordilleran which is found mainly in the interior Rocky Mountain area in the summer months and the Pacific-slope Flycatcher found mainly on the west coast of the US, Canada and Mexico. Note: First in San Juan County since 1974. Note: Far north of its normal range. Note: Two adults in breeding plumage were seen in a "new" place. It has been seen several times in the Saltair area (south shore of G. Salt Lake) about 30 miles to the northeast. Note: This sighing is north of the the usual range for this species in southwestern Utah. Note: Few sightings have been reported in this part of the state. Note: Most sightings of this species are in southwestern Utah. Note: Most sightings of this species are in San Juan and Washington Counties. Note: Out of normal range. Note: This report was submitted to the Records Committee but was no longer on the review species list. The species was not on the Fish Spring checklist in 2000. Note: This is a report of a possible rare hybrid. It was not reviewed by the committee nor were any opinions offered, but it is posted here for future reference. Note: This species was removed from the Review List before this record was submitted. It is still a rare and notable sighting. 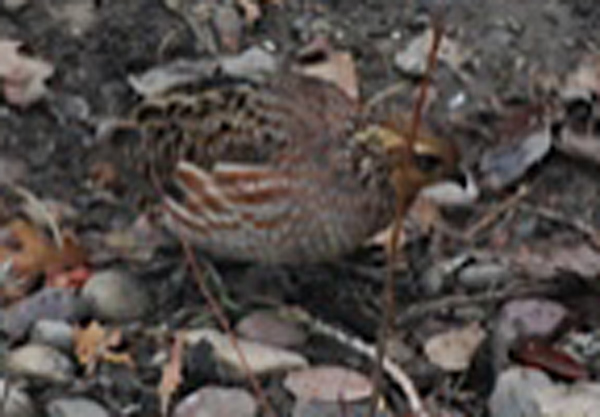 Note: This bird was reported by a reputable birder but no official record was submitted. Note: While conducting an avian survey in a riparian area of Glen Canyon NRA, this bird was found and reported to the Record Committee. Note: This is an interesting subspecies of Willow Flycatcher that is found in Utah and is the subject of several studies. Note: Several birds of interest were reported from a surry done along the San Juan river by the Bureau of Land Management. Along with the Bell's Vireo, Black Phoebe, Summer Tanager and Hooded Oriole were also reported. Note: Because this species is difficult to see, Common Poorwills may seem more rare than you'd think. This bird is not on the Review Species List. Note: This could be an Indigo Bunting X Lazuli Bunting hybrid or possibly a molting Indigo Bunting. Note: A fairly rare bird that is not on the Review Species list of the Utah Bird Records Committee. Note: Always a good species to see even in southern Utah where it is more easily see than in the northern part of the state. It is no longer on the Review Species list. Note: This bird can be found in certain areas around the state, but is pretty rare in most others. It is not on the Review Species list. 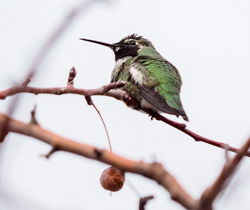 Note: This is mainly an eastern species in the US, but can be found in Utah mainly in the winter. Note: This species is listed as "accidental" on the 2004 Matheson Preserve checklist. Note: This record was submitted to the Records Committee but wasn't reviewed. This species was removed from the Review List around 1998. Note: Early record for Grand county, submitted when the Records Committee was establishing the 10-year status of rare birds in Utah. Note: UFO (Utah Field Ornithologists) record that was later accepted by the Records Committee, but was not included in the reports. Note: A record submitted when the Records Committee was establishing the 10-year status of rare birds in Utah. Note: This species was removed from the Review List before 1998, but this is a rare sighting in this part of the state. Note: This species was removed from the Review List before 1998, but add to the list again in 2010 because of decreased sighting. Note: Although Vermilion Flycatchers are seen quite commonly in the southern part of Utah especially in Washington County, they are very rare in the northern Utah. Note: This records was apparently reviewed and accepted by the UFO Records Committee and is an official state record for this species. Note: There is no record of this being reviewed by the Records Committee for some reason. Note: Some of these early sightings can help track the increased population of this bird in the state. Note: This species was listed as "uncommon" (but not rare) before the Records Committee was established. Maybe this is why this record was overlooked and not reviewed. Note: Surf Scoter sighting were becoming more common at the time of this sighting and so this sight record was not reviewed. 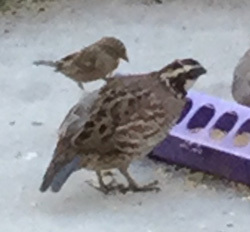 Note: This is an early sighting of Inca Doves in Utah. Note: This Species is commonly seen in Washington County but is very rare in northern Utah. Note: Submitted as a Black-shouldered Kite -- the name has been changed. This record was accepted by the UFO Records Committee. Note: This record was accepted by the UFO Records Committee. The species has sense been taken off the Review List. Note: This sight record was accepted by the UFO Records Committee and is still on the Review List as of April 2015. Note: This record was accepted by the UFO Records Committee. This species is still on the Review List.